Two leading House Republicans are ramping up pressure on House Oversight Committee Chairman Elijah Cummings to refer former Trump attorney Michael Cohen to the Justice Department for allegedly perjuring himself during congressional testimony. Ohio Rep. Jim Jordan and North Carolina Rep. Mark Meadows claimed in their letter that Cohen lied about six separate topics during sworn testimony before the House Oversight and Reform Committee on Feb. 27. They said Cohen lied when he claimed he did not want a position in the Trump administration and that he did not seek a pardon from his former boss. Trump’s team dismissed the possibility of a pardon, according to The Wall Street Journal. 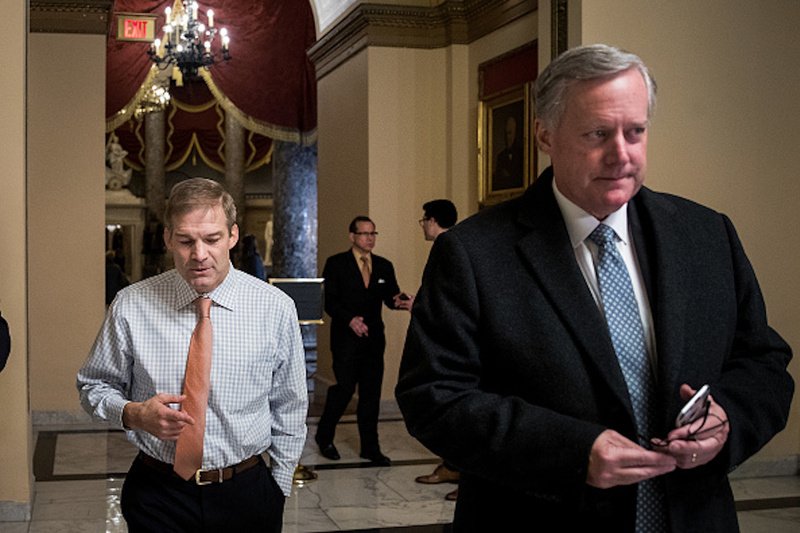 “This Committee cannot stand idly by when a witness comes to a hearing, swears an oath to testify truthfully, and provides material testimony that appears on its face to be demonstrably false,” Jordan and Meadows wrote to Cummings, a Maryland Democrat. “In light of mounting evidence, it appears Cohen likely lied under oath during his appearance before the Committee,” they added, noting that California Rep. Katie Hill, a Democrat, said in an interview Sunday that she expected Cummings to refer Cohen for prosecution. In a letter to Cummings sent Monday, another Cohen lawyer, Michael Monico, said his client stands by his testimony, though he acknowledged that Cohen “could have been clearer” about the timeframe of the pardon discussions. Monico claimed that Cohen was referring to his interactions with Trump’s legal team after he had decided to exit a joint defense agreement he had with Trump’s lawyers. Monico also said that “at no time” did Cohen ask Trump for a pardon or did Trump offer one. Cohen pleaded guilty in the special counsel’s investigation as well as one being conducted by federal prosecutors in Manhattan. He admitted to tax evasion, bank fraud, making illegal campaign contributions and lying to Congress regarding efforts to build a Trump Tower in Moscow.